Men's Gold Wedding Bands: Yellow, White, or Rose? 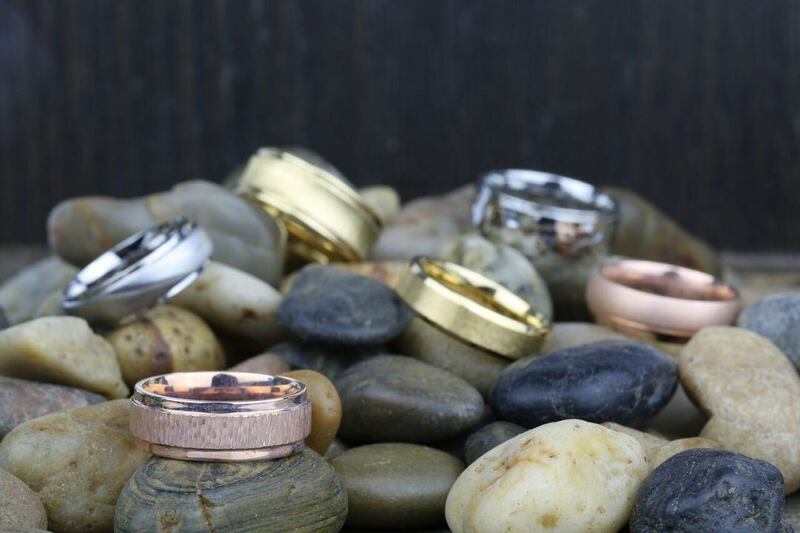 Men’s Gold Wedding Bands: Yellow, White, or Rose? When mixed with other metal alloys, gold can come in shades that can match any taste. 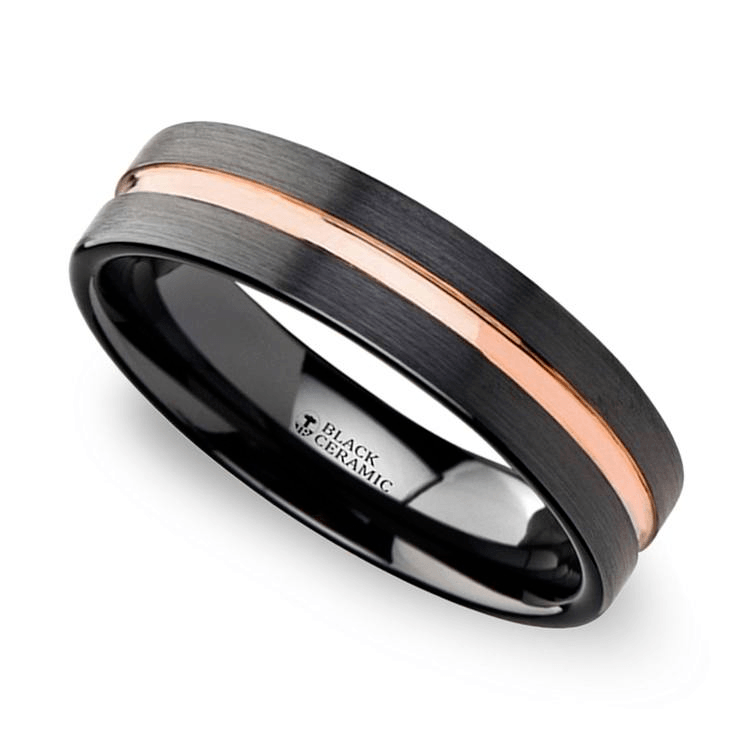 Men can find wedding bands in yellow gold, white gold, rose gold, or even black gold! Different shades of gold can even be mixed together to create a ring that expresses the wearer’s personality and style. When shopping for men’s gold wedding bands, buyers will notice that the price of gold varies considerably. Gold is measured in karat purity—24 karats denotes 100 percent pure gold. While 24 karat gold will cost the most, you won’t find rings in pure gold; the metal in its purest form is extremely soft and this malleability makes it unsuitable for daily wear. Fine jewelry should always be purchased in 14 karat or 18 karat gold, as a lower karat weight indicates a gold purity of less than 50 percent. However, the higher the karat weight, the higher the price. Larger rings—both in size and width—also require the use of more gold; size and purity both affect the ring’s overall price. So how do you choose between 18 karat and 14 karat? Both karat weights are exceptional, so your budget can dictate choice. Rose engagement rings are massively popular. In fact, rose gold is the en vogue color pretty much everywhere… you’ll find this hue in clothing, tech gadgets and even hair colors! This romantic metal was first created in the 19th century by mixing copper and yellow gold. It was beloved by Faberge for its luxurious look, and today is the metal of choice for vintage-inspired wedding bands. Rose gold can also be paired with other metals—like white gold or platinum—as an accent or to create artistic details within a ring. White gold is a mix of palladium (and other white metals) with yellow gold. A “cool” metal often compared to platinum, it rose in popularity when platinum was restricted as a military metal during World War II. 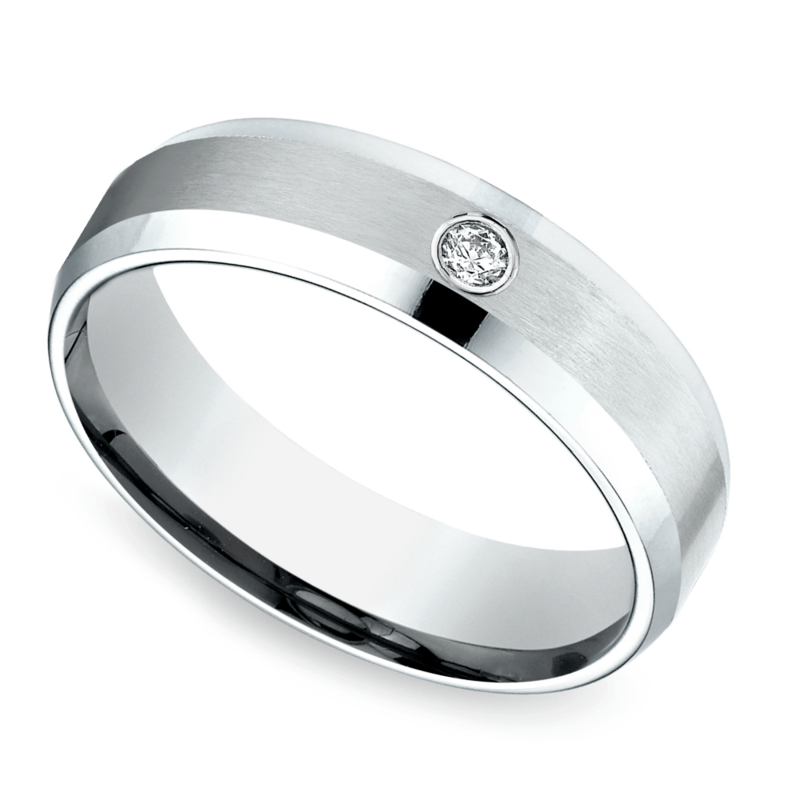 While white gold isn’t as durable as platinum, the metal features a similar mirror-like sheen and silver hue. White gold is the most popular metal for women’s engagement rings, and it shares a similar popularity for men’s wedding rings, particularly for more modern styled bands. The classic choice is yellow gold. This traditional metal has been used for wedding rings and jewelry for centuries. Yellow gold can be styled simply or with more modern details. Pair it with platinum to add dimension and detail. Inlays of warm woods or opal pop against this classic metal, or add a row of pave set diamonds. Yellow gold adapts to all styles! One hue of gold isn’t created by mixing in other metals. Black gold is the result of heat treatments or plating. While this dark gold isn’t for everyone, the hue lends to a more contemporary—almost gothic—appeal. Style black gold with red rubies, diamonds, colorful inlays or just create your own design. 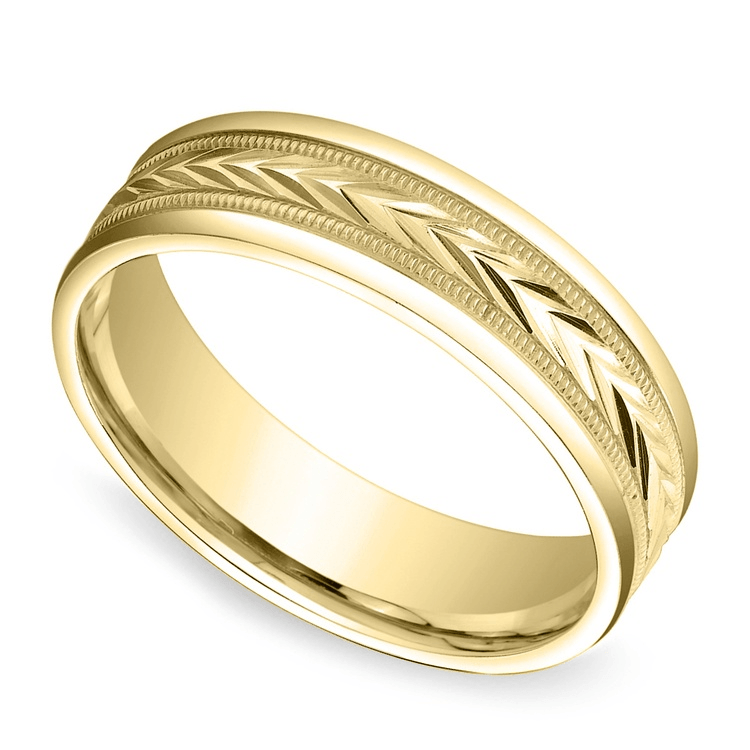 Gold is a highly favored metal for men’s wedding bands. The numerous colors of this metal make it a versatile choice for many buyers. Choose classic yellow gold, romantic vintage rose gold, modern white gold or funky black gold to create your Midas Touch of Brilliance!